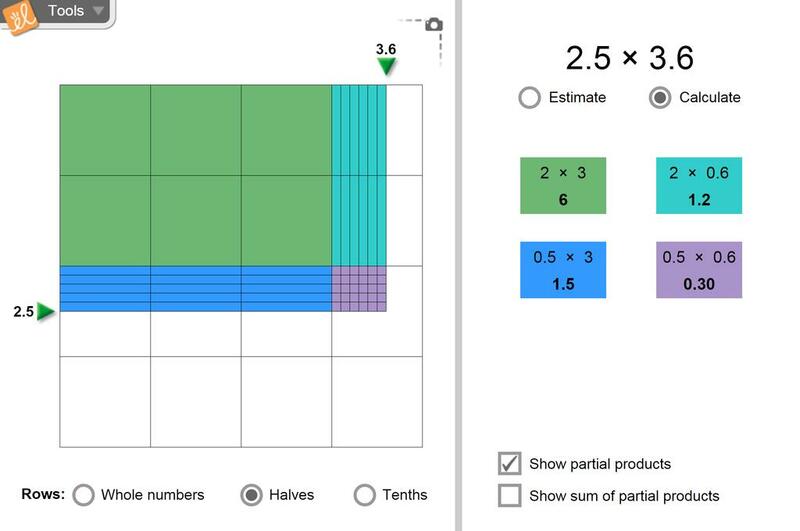 Demonstrate multiplication with an area model. Estimate the product of a decimal and a whole number. Estimate the product of two decimals. Calculate the product of a decimal with a whole number using partial products. Calculate the product of two decimals using partial products.